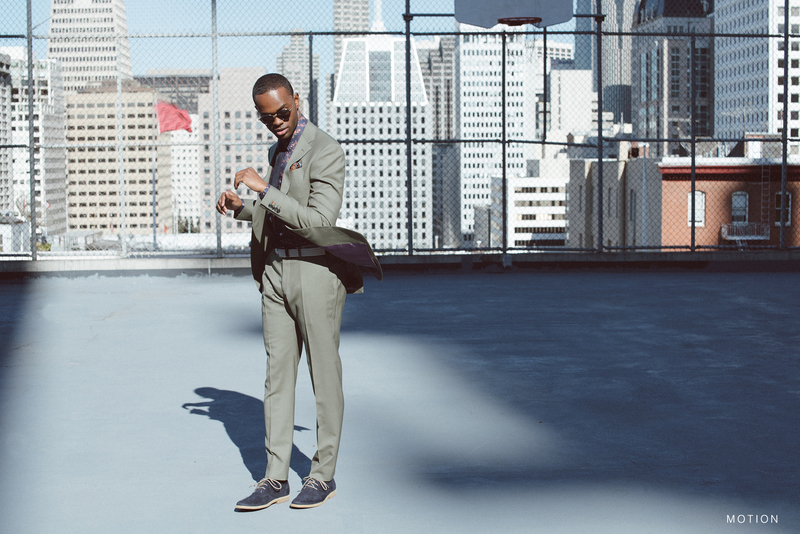 Eison Triple Thread is a start-up menswear company based in San Francisco that is taking a new approach to the way one’s wardrobe is constructed: music. It’s no doubt that many teenagers and young adults have been looking to musicians for fashion inspiration. In fact, many artists have lines with clothing companies: Big Sean with Puma, Khalid with Hollister Co., Selena Gomez and Coach, and many others. ETT is “reimagining the way men approach, interpret and consume made-to-measure clothing.” The company started in 2016 with its high-end custom menswear. As a user of the app, you can login to your Spotify account (which gives ETT your listening data) and take a personality/lifestyle quiz. This will give the app information as to what you do in your free time, what type of clothing you wear, what type of job you have, what skin color you have, etc. Eison believes that knowing this about the customers will allow his company to have a better insight into clothing that can be recommended to them. It wouldn’t make sense for a construction worker to be recommended a suit and tie since that is not the proper attire for that occupation. In an interview with Racked, Eison said that “we know different colors look better on different skin tones.” It is clear that ETT wishes to get into the nitty gritty details to ensure that consumers will have the correct and accurate recommendations for their closet. Once the app’s algorithm has gathered the consumer’s Spotify data and favorite artists, it will find different products and suggest them to the customer. The consumer can then peruse these suggested outfits and like or dislike the fits in order for the app to learn what it is that the customer prefers. For example, in the article by Racked, Eison said “people who listen to Drake will likely be served photos of streetwear like fitted tees and velour sweatpants, while Lionel Richie listeners could be fed images of red ribbed sweaters and blue jeans.” He believes that this style of marketing can help men who have difficulty with finding their personal style. In addition, the recommendations don’t simply come from whatever the artist wears. It actually extrapolates the style of clothing that matches the artist’s style of music and wear to clothes that a listener of said artist would favor. Although this is a new service, many are already excited for what is to come. Eison recognizes that his brand isn’t as big as many other clothing companies. He hopes that by using the music element for fashion, his company is leading a new wave. It may also lead to future opportunities such as collaborations with artists and merchandise sold at concerts. Advancement of fashion design depends on creative thoughts. Thanks for the writing.